Translation of Utada's first major interview regarding her 6th original album, Fantôme. Music listeners all over Japan have been waiting. It’s fair to say that this is not simply hyperbole. Finally ending her hiatus, her 6th original Japanese album and first in 8.5 years, Fantôme will be released on September 28th. A French word meaning “ghost” or “shadow,” the album is a dedication to her mother who passed away in 2013. It’s her first step forward into a new chapter, and we talk with her about her various feelings at this crucial moment. When I announced my break, a lot of people were asking “Why?,” and I didn’t really know how to answer. I wouldn’t really say inertia, but once something starts moving it’s hard to stop, and when something’s stopped it’s hard to move. 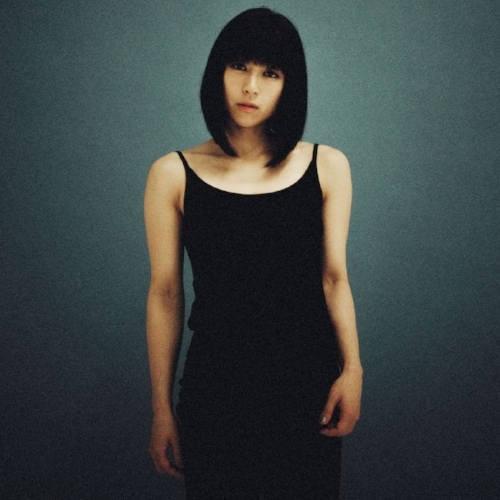 There was such an immediate commotion around my debut, and from there this identity of “Utada Hikaru” grew so much. The bigger it got, like a big truck it got hard to steer, and I found myself unable to choose my own direction. I thought, “This isn’t good,” so I decided to take a break. — And now after 8.5 years, this new album. Why the title Fantôme? — I heard that the reaction from listeners to the songs Hanataba wo Kimini and Manatsu no Tooriame which were released digitally in April, had a big impact on the final album? There were a lot of listeners who heard these 2 songs and realized, “I wonder if these are about her mother?” And it wasn’t sympathy, but more empathy or this sense of the importation of feelings. I had never really encountered with my own songs, where the reaction was so different from my expectation. And both in a good and bad sense, I’d never allowed that sort of reaction to influence my next material. But the reaction to these 2 songs in particular felt so positive to me, that unlike any other albums, I Iet the reactions influence the outcome. During the final half of the recording process, it felt like I received the courage to finish writing the remaining lyrics. The majority of the lyrics from the album were written in the roughly 3 months after that. Definitely the shortest recording up until now. With that being said, the theme for Hanataba wo Kimini and Manatsu no Tooriame was very delicate so it took a while, and 8.5 years is obviously a long time (lol). And, because everyone knew this was “about my mother,” I had this strong sense of responsibility to not make an album that would paint my mother’s face in mud. — Hanataba wo Kimini was a song that was written specifically for NHK’s Asadora “Toto-Neechan,” correct? Because it’s such a national program, more than usual I wanted to make the lyrical entry point as wide as possible. Like the (Japanese groups) OFF COURSE and TULIP, and also Elton John’s Tiny Dancer, I imagined something light and open, and that’s what I was aiming for. Something that a lot of different listeners could apply to a lot of different situations. — On the other hand, Manatsu no Tooriame has very strong, literary lyrics. I was really taken aback by the beauty of the Japanese language. For this song, before I even got started, I had made the decision to write the lyrics only in Japanese. I wanted to pursue the significance of singing in Japanese, and the idea of singing a true Japanese “song.” It didn’t seem like a song that had room for English, and it also felt that for me at this moment, using English would just be an easy “escape.” I didn’t want to feel the buzz of the Roman, but rather the natural stain of the Japanese language. I wanted something that could feel beautiful, now and ever. — The album as a whole, other than a few words in English and French, are completely written in Japanese. From the very early stages of production, I very consciously wanted to go to battle with this album as “Japanese language Pop music.” The English phrases in my lyrics up until were really used when I didn’t want to directly sing about something, or I just wanted to add some color. But this time, I only wanted to line up the most crucial Japanese words, and only sing lyrics that I felt were beautiful. — The album jacket, shot by French photographer Julien Mignot, is also very beautiful and artistic. Thank you so much. I had actually known him before. When I had met him he was just a fledgling photographer, but when I recently went to his website, I saw he was so popular and his photos had gotten so good (lol). With all of my album jackets up until now, one of my directors would suggest photographers, but this was the first time that I personally said, “I think this person is great, what do you think?” I personally contacted him, and all of the scheduling and location scouting was decided by the two of us, and we shot it in Paris. It was the first time where I didn’t feel this sense of work or roles, but just as a normal girl, meeting someone and having them take my photos. It felt very natural, very human, and very freeing. That also ended up tying into my confidence with this album. — The album opens with the danceable track Michi. After going through your mother’s death, your marriage, the birth of your son, the oath like lyrics to the song feel like a frank condensation of all of your current feelings. Yes. Like, “I’m alright! Let’s go!” (lol). Through the process of writing the lyrics to this song, I felt like I was able to grasp the true subject of this album. I felt relieved being able to say what I wanted to say. — It’s been 8.5 years, and compared to your previous albums, your voice and lyrics sound even stronger, gentler, and I get the sense that you’ve really grown up. Besides Michi, I made the arrangements of the tracks very minimal, to make sure that my voice and words could be clearly heard. It was to the point of saying, “If you can’t hear the words then there’s no point,” and so my singing too is a bit more gentle and polite. — I’d agree. The 2nd track, Ore no Kanojo is much more adult than anything you’ve done. — On this track, similar to the album title, you use French. Without any previous experience or any clear calculation, the French words just kinda came to me and I was a little shocked. I think I maybe wanted something very cool and also just very sensual sounding. Moreso than English, French requires a very evocative vocalization method. And also, right when I finished writing the lyrics to this song, I started thinking through the album title. — Well let me ask some questions about some other tracks. Ningyo is very unusual for your songs in that it has a very rustic, acoustic sound. After my mother had passed away, at a point where I felt like “I don’t know if I can make music anymore,” I picked up a guitar and this song kinda just happened. This was another song that I really felt this urge to write a “beautiful Japanese language song,” hence I struggled a lot with the lyrics. I hemmed and hawed for about a year, and at a point where I just didn’t think I’d be able to reach my goal and was about to give up, all of a sudden these words started pouring out of me. I think due to this sense of accomplishment, this is the song I’m most proud of. Actually, in the original paper-cut MV for Hanataba wo Kimini, there’s a scene where this woman who’s been living in this village as a human, suddenly goes to the sea and jumps in and returns to her original form as a mermaid, and when I saw the original storyboards, I felt as if the artist was comforting me, warmly supporting me, and more than anything, just truly understood and accepted Hanataba wo Kimini, and I just couldn’t stop crying. And that’s where this mermaid motif took over. — On Kouya no Ookami my ears were really taken by the sighing sounds. During the final stage of production, when I had run out of ideas, just through sheer momentum this was quickly created (lol). When I was having tea with a friend, we were discussing how we both liked Hermann Hesse, and from there I remembered his novel Steppenwolf, and that’s where it tied into the lyrics. I undertook it after the main vocals had been all recorded, and the entire album recording session was ended with these sighs (lol). With Hanataba wo Kimini as well, I felt something was missing so I added in the sighs. Actually, using these “breaths” as expression is a mini theme of the album. — The album comes to a close with Sakura Nagashi. There really wasn’t anywhere but the end that this song could be placed. Up until now, I’d take a tracklist proposal from the album production team and we’d all work through it together, but this time I did it on my own. So in that sense as well, with this album, in a lot of ways, as a project leader I had to really take control. Due to my mother’s death and also coming into my own as a mother, I had to suddenly become a proper adult. Knowing that no one else could show me what road to follow, and experiencing this frantic need to keep moving forward, allowed me to grasp a sense of confidence that I’ve never had. — The lyrics, whether direct or indirect, use the motif of your “mother.” And yet, even though these songs are so personal, the quality of these songs is so high that everyone is able to share in that music. I just have so much admiration for that. — Yeah when you put it that way it makes sense. I actually think that’s why the reception to Hanataba wo Kimini was so strong. And I think that’s why right now, more than anytime before, I have a strong sense of trust with the listeners. — Then finally, for you, what sort of album did Fantôme turn out to be? It’s an album that I was able to “accept,” and have “accepted.” I wouldn’t call it self-therapy, but listening back to Michi, I’ve begun to think “I’m not sad. I’m gonna be alright.” It also might be the first time that I’ve felt this sense of, “listen to this!” so strongly (lol). It’s an album that I really want people to hear. If some kind of feeling can reach the listener, and be accepted, I’d be happy. I plan on continuing to make music after this, but I really don’t think I’ll be able to make an album like this again.